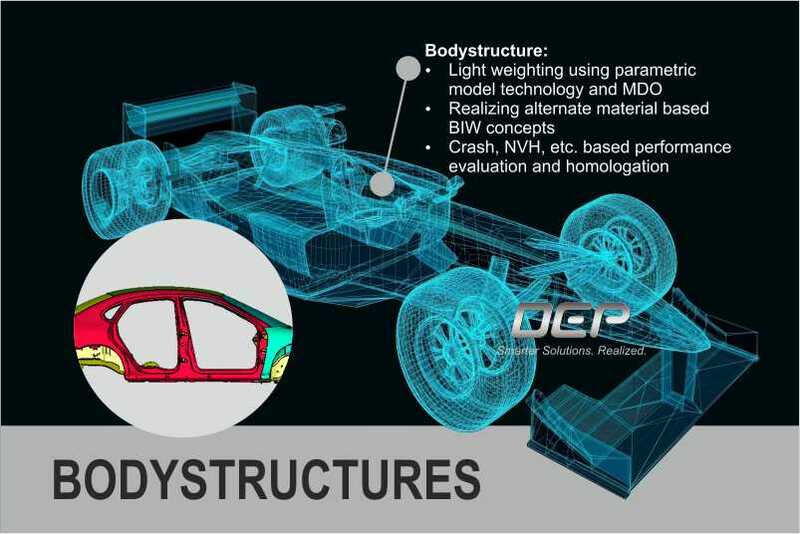 With the rapid development in the automotive engineering markets, there is a constant need to improve and at the same time compress the product development cycle. 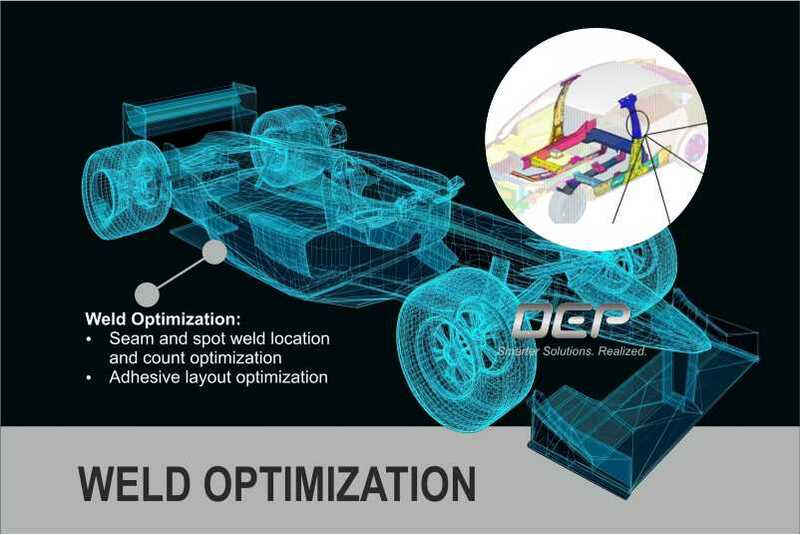 DEP provides effective solutions to automakers and suppliers by leveraging CAE driven design at a very competitive cost. 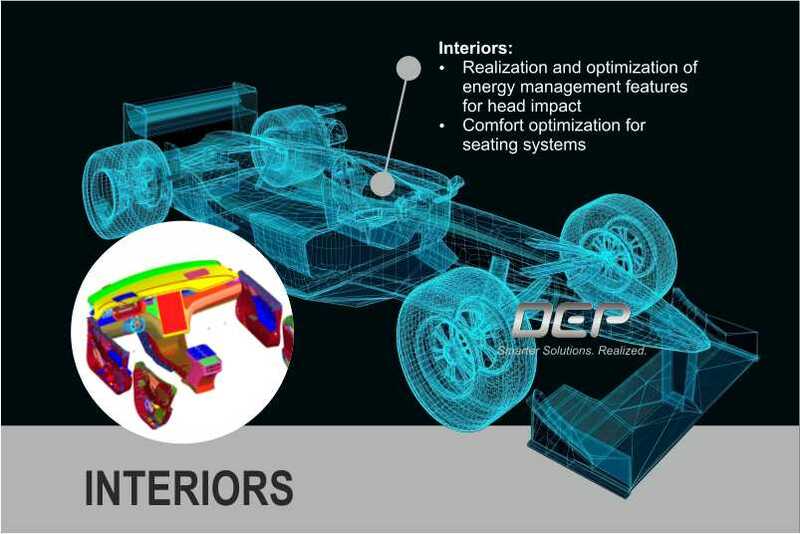 The powerful tools, DEP Meshworks and CAD Morpher have allowed various organizations to get a headway in product engineering and to explore various effective design options that may be available, in minimum time. 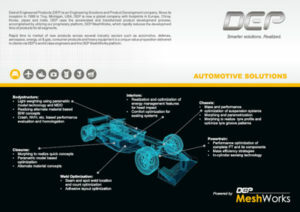 DEP is a market leader in providing end-to-end solutions right from concept styling to manufacturing. 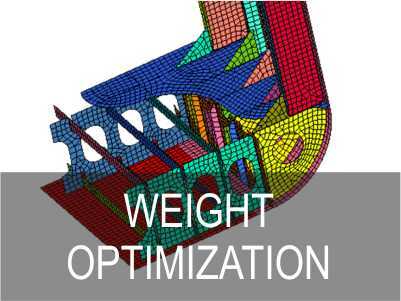 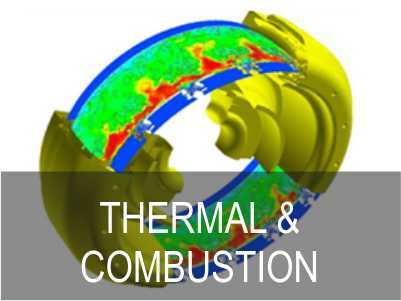 Our expertise also lies in the challenging multi-disciplinary-optimization capability by combining all CAE disciplines. 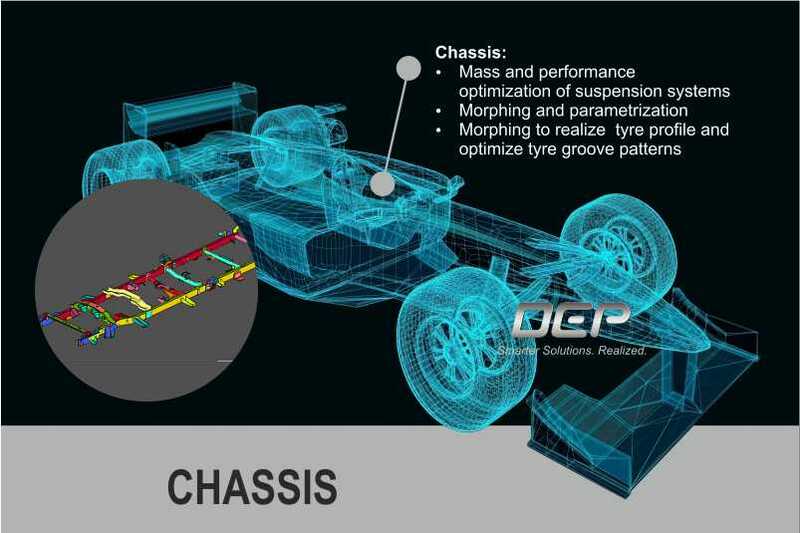 Together with our extended family of partners and consultants across the globe, we can play different roles as needed, viz. 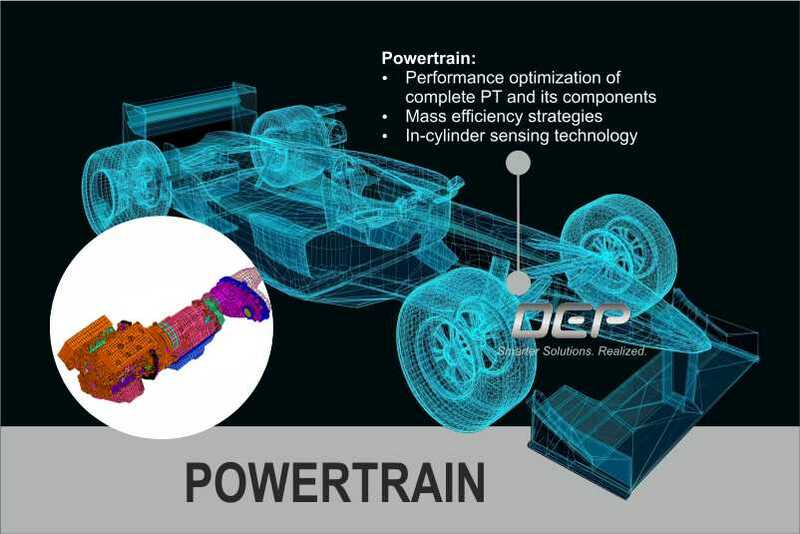 consultant, system integrator, component supplier, engineering service provider & full system manufacturer.